Above all other aspects of beauty, as an esthetician, skincare is my passion. There is power in finding a routine that works and being able to be confident in yourself. I eat a plant based diet, which helps immensely to combat inflammation. I try to eat healthy, whole foods and make sure that I am well hydrated as well. As much as skincare is about what we put into our body, it’s important to find good topical options as well. All of the skincare I use is cruelty free, vegan, and non toxic. Switching to non toxic skincare was the best choice I ever made, and has made a huge impact on the integrity of my skin. For a little background on my skin, my skin is combination, sensitive to many ingredients, and breakout prone. I try to focus on oil regulation, brightening, and wrinkle and line prevention. 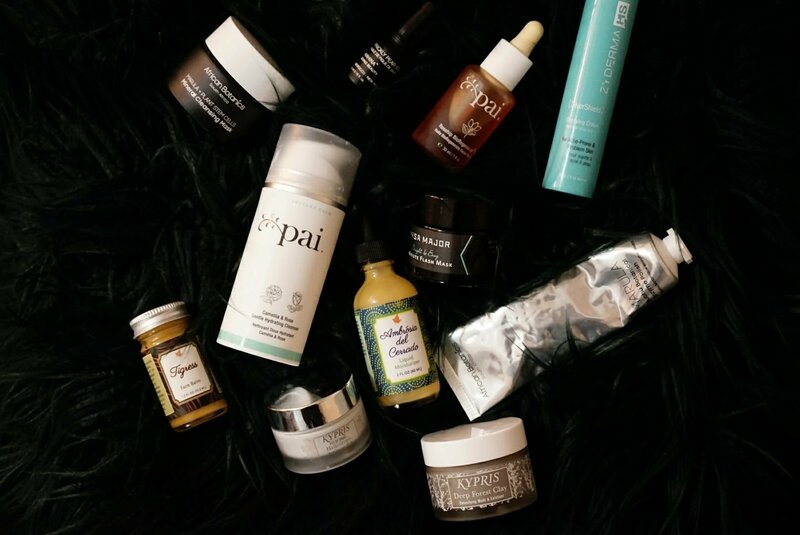 The following is everything I use regularly on my skin, and why they actually work. 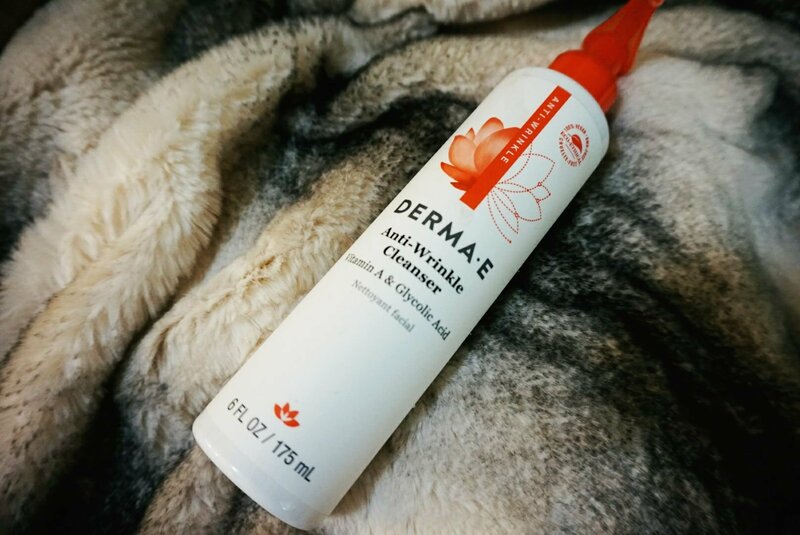 Derma–E Anti–Wrinkle Glycolic and Vitamin A Cleanser This is probably the least “clean” ingredient wise, but it is definitely a staple in my routine and I have yet to find one comparable in price and efficacy in another brand. This is a gel foaming cleanser that I typically use at night after removing my makeup. My skin is always in a state of being very regulated, and I rarely have excessively oily days anymore and I attribute a lot of that to this cleanser. Glycolic acid is an alpha hydroxy acid that dissolves the internal cellular cement and facilitates the slouching off of dead skin cells. By reducing this build up, it is great at preventing acne from forming. It also enhances hydration by increasing the skins ability to retain moisture. This combined with glycolic acids exfoliating properties, makes it great for reducing the appearance of fine lines. Vitamin A, like glycolic acid, helps regulate and normalize skin. It improves texture and firmness. Vitamin A is also essential for the regeneration of skin cells. Mother Dirt Cleanser This is my favorite, most basic cleanser. 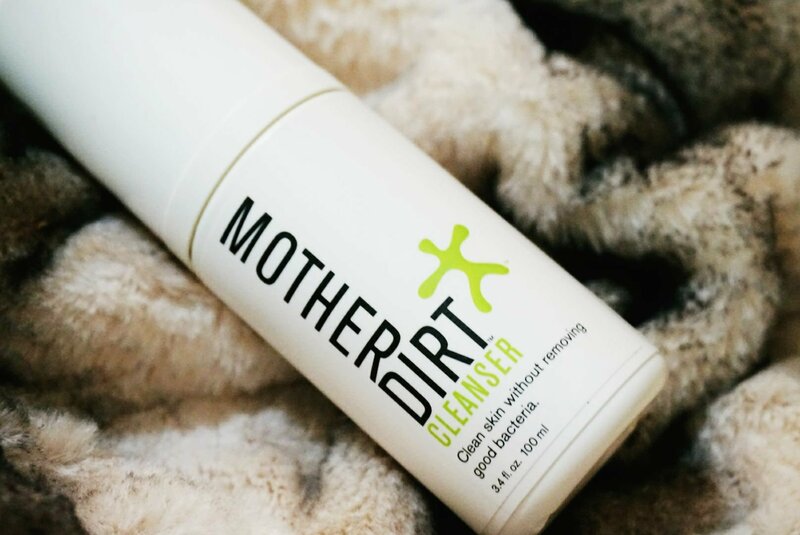 The whole premise of the brand, Mother Dirt, is to not strip your skin of it’s good bacteria. This is probably the least stripping foaming cleanser there is, and would be good for any skin type. I prefer to use this in the morning, as it doesn’t strip my skin too much but starts me off with a clean slate. This cleanser is formulated to be compatible with our skins natural biome, meaning it isn’t going to mess with your skins natural balance. There are also very few ingredients which make this great for sensitive skin. 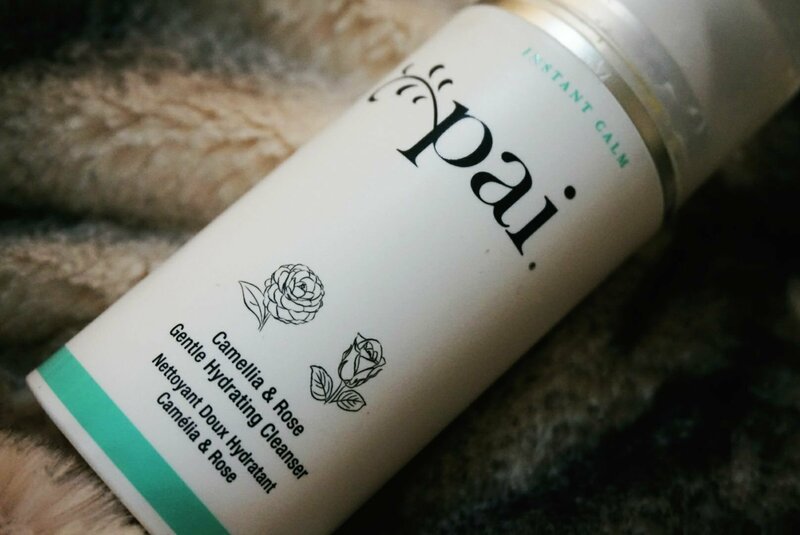 Pai Camellia & Rose Gentle Hydrating Cleanser This cleanser is what I use to remove makeup. The consistency is almost that of a lotion. I use this with the cloth it came with, which helps to get off any stubborn eye makeup. This removes all my makeup, without stripping my skin and leaving it irritated. I can’t use this alone, as it doesn’t cleanse enough for me, but I’m sure it would be enough for a dry or normal skin type. This gently removes makeup without causing me to tug or pull at the skin. Camellia has a high content of oleic acid providing the skin with essential fatty acids. It also has antioxidant properties. Damask rose helps skin retain moisture. The oils in this cleanser including sweet almond oil and castor oil, help remove makeup effectively. African Botanics Marula Buchu Botanical Enzyme Polish This is one of the most expensive brands I use, but entirely justified. This enzyme polish has been incredible at improving the texture of my skin. I use this about three times a week and my skin immediately looks and feels amazing. It gives a glow to the skin and helps with previous scarring and dullness. It also helps keep my skin exfoliated so that my moisturizers actually work. This is gentle enough for sensitive skin, and leaves me radiant without redness or irritation. Buchu, crushed baobab and super fine granules of volcanic minerals provide a mechanical exfoliation that buff away dull skin. Papaya and pineapple enzymes provide another form of exfoliation. Enzymes give surface exfoliation by breaking down intercellular bonds. This clears clogged pores, making them appear smaller. 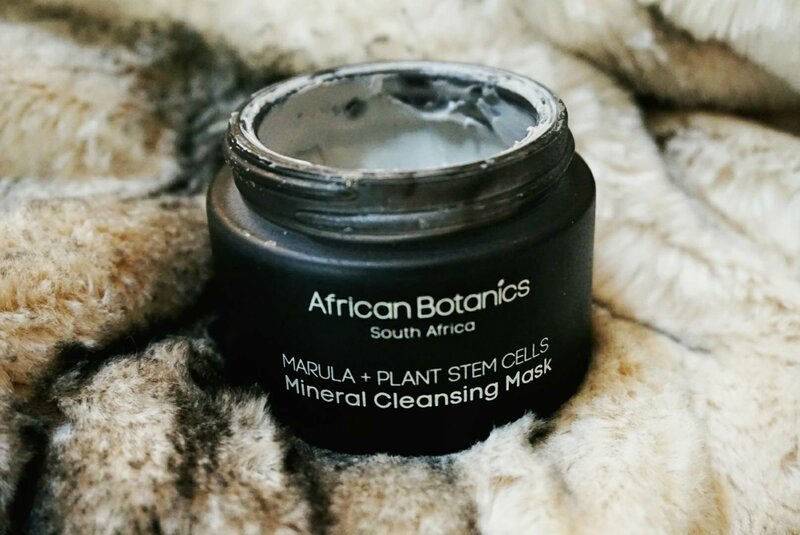 Marula is a humectant and is rich in vitamins C & E.
I love exfoliating masks, as it’s an easy way to get some more exfoliation in while also acting as a mini facial. This is by far one of my favorite products I tried in 2017. Although this is a flash mask, I typically leave in on for 10 minutes or so. I get some results within 3-5, but my skin can tolerate the longer time. If you’re trying for the first time, I would start at 3 minutes. I use this once a week to brighten my complexion. This gives my skin luminosity and improves tone as well. It also helps minimize my smile lines. I can do this before going out to an event, and it doesn’t leave my skin red or irritated. It is actually excellent before makeup application as well. First things first, I love that this has an aloe vera base. The consistency is great, but aloe vera is also very cooling and anti-inflammatory. This provides moisture and moisture regulation. Witch hazel has anti-inflammatory and astringent properties. It also helps counter damaging affects of UVA. Fruit ferments and enzymes provide an enzymatic exfoliation. Willow bark is a natural source of salicylic acid. Salicylic acid is a beta hydroxy acid that helps dissolve the top layer of cells and improves the look of skin. It penetrates pores and reduces blockage, helping fight breakouts while also making pores appear smaller. Can you tell I really love this brand? (And Marula). This is a combination skin dream. Most cleansing masks are way too drying, and only treat the oily parts of the face while neglecting the dryer areas. 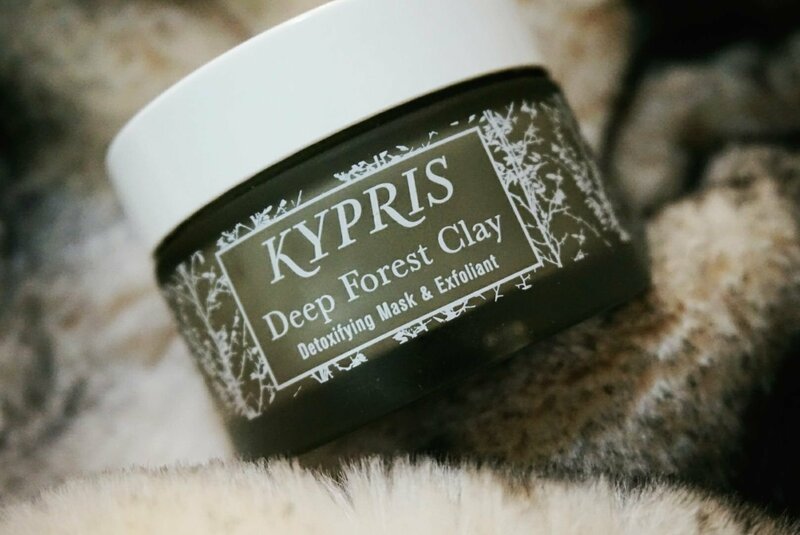 This mask does an amazing job of drawing out impurities without overdrying. This brightens, improves elasticity, firms & purifies. This really is like a facial in a jar. I do this once a week, and every time I do I get endless compliments on my skin the days following. 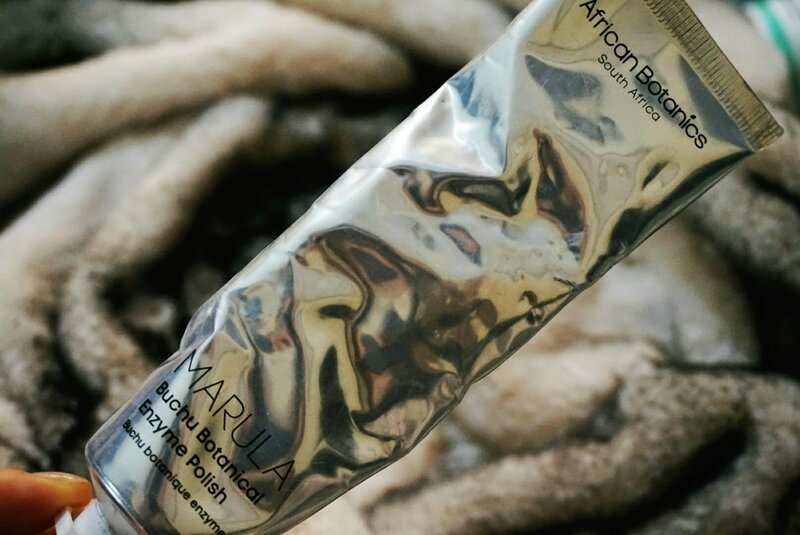 Marula is rich in antioxidants and helps skin retain moisture. Baobab purifies and decongests. White clay absorbs oils. Avocado oil soothes and adds moisture. Lactic acid is alpha hydroxy acid from fermented foods. It is an exfoliant with an ability to increase the water retention of skin. It has been proven to improve the look of fine lines and wrinkles and smooth skin. This is what I use when my skin needs a super deep refresh, or when I really need to detox myself. The smell of this is amazingly minty and really does smell like a forest. 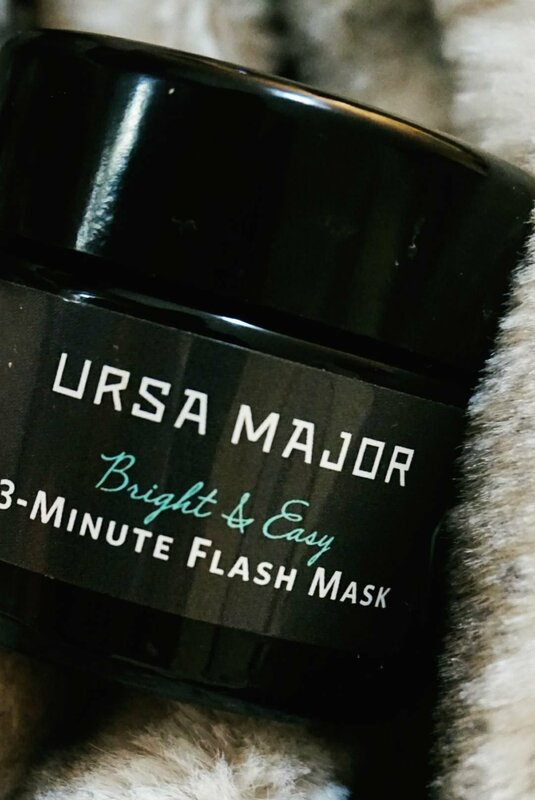 This is another mask that really is like a facial in a jar. This decongests and exfoliates and leaves my skin refreshed looking. This is the mask I most use when I am having a breakout. Montmorillonate is a clay that detoxes and purifies. Radish root ferment is an anti-microbial and fights breakouts. Thyme stimulates circulation and tones. Chamomile heals. Licorice root acts as a tyrosinase inhibitor, preventing hyperpigmentation while also treating previous scars or marks. 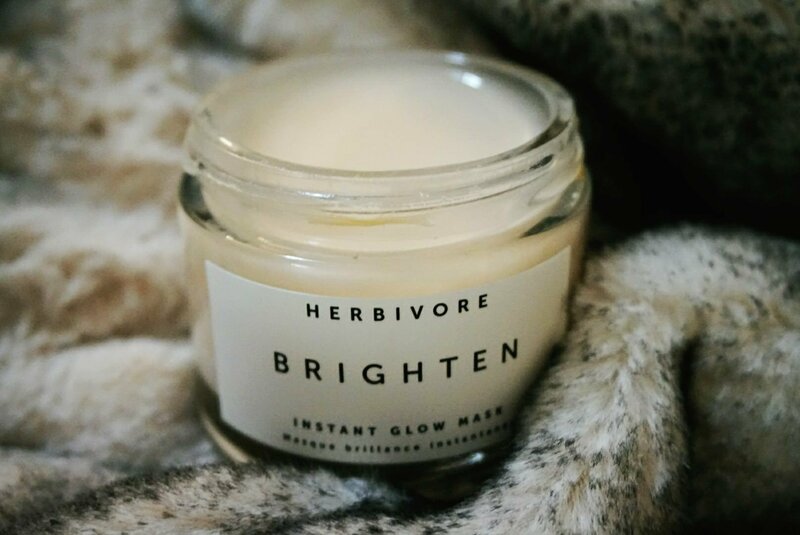 This is the mask I do when I just want a bit of a glow added to my skin. This smells like candy, making it also really fun to do. This gently exfoliates and brightens complexion. I especially like this in colder months when my skin is looking duller. 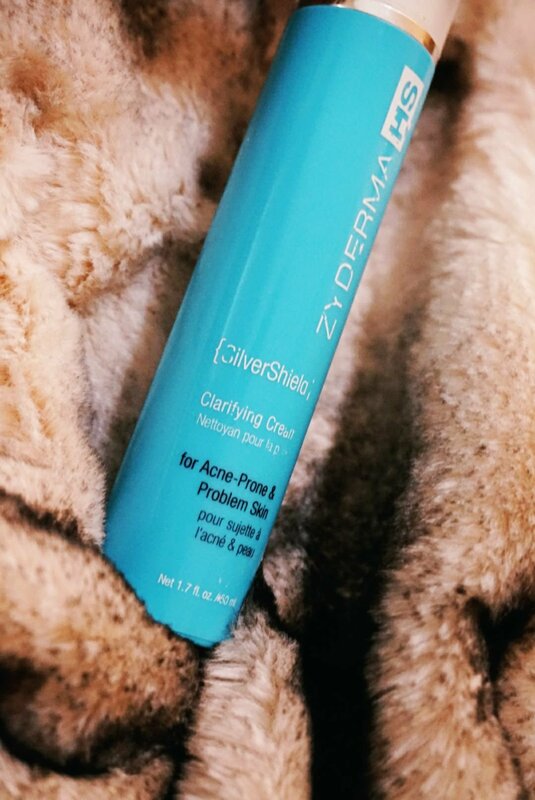 The aloe vera base makes this mask hydrating and non stripping. Papaya and pineapple fruit enzymes exfoliate skin leaving is bright and fresh. Radish root ferment acts as an anti-microbial. If I was on a desert island and could only bring one product I would bring this. It is my number one favorite skincare product, without a doubt. If you have oily skin, or breakout prone skin, or combination skin that you think you can’t use serums or oils on, look no further than this. This has single handedly transformed my skin into glowing, balanced skin. I use this after washing my face, morning and night. It absorbs quickly and is great preparation before other products. I keep it in the fridge, so it feels soothing going on. If you buy one product, buy this. Seriously. I don’t know magic, maybe? Must be. This is aloe based, which I have realized is now something I look for in products. It instantly hydrates and soothes. This is especially helpful if you have sensitive skin. Pequi fruit oil is a humectant with antioxidant properties. Antioxidants block oxidation caused by the damaging effects of free radicals. It also contains oleic and fatty acids. Increasing essential fatty acids improves elasticity, and helps prevent transepidermal water loss and improves moisture retention. Buruti oil is also rich in essential fatty acids and helps regenerate the skins barrier. 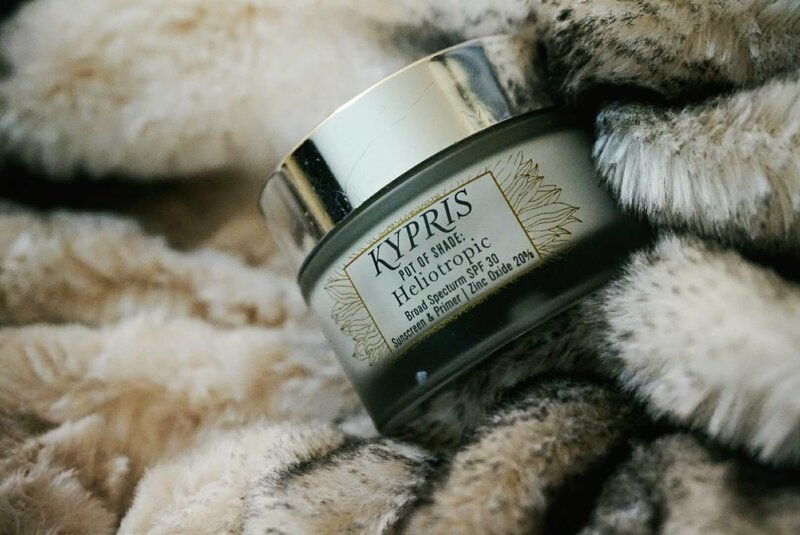 It moisturizers, nourishes and improves skin elasticity. This is also beneficial for eczema. Moringa helps improve skins overall look and feel. Not all rosehip oils are created equal. I have tried a few, but I really prefer my outcome with this one. I apply a couple drops after my liquid moisturizer from Earthwise in the morning. This makes my skin hydrated and balanced, and has helped prevent breakouts from imbalances in sebum. This is my number one oil recommendation if you are oily or breakout prone. It is also good in helping signs of aging. 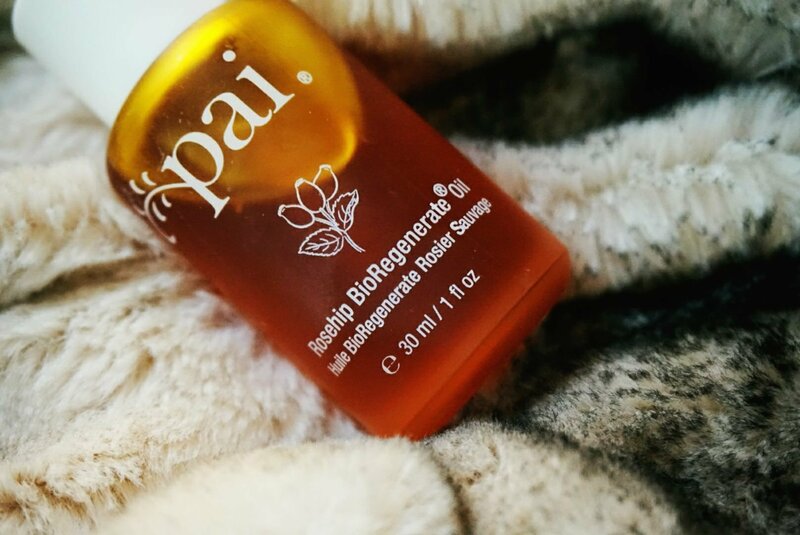 Rosehip oil is antiseptic and would healing, making it great for breakout prone skin. It improves skin hydration, and regulates oil gland secretion. It is a natural source of retinoic acid. Retinoic acid is a vitamin A derivitave that increases hyaluronic acid levels and it stimulates collagen. This is my favorite affordable moisturizer. 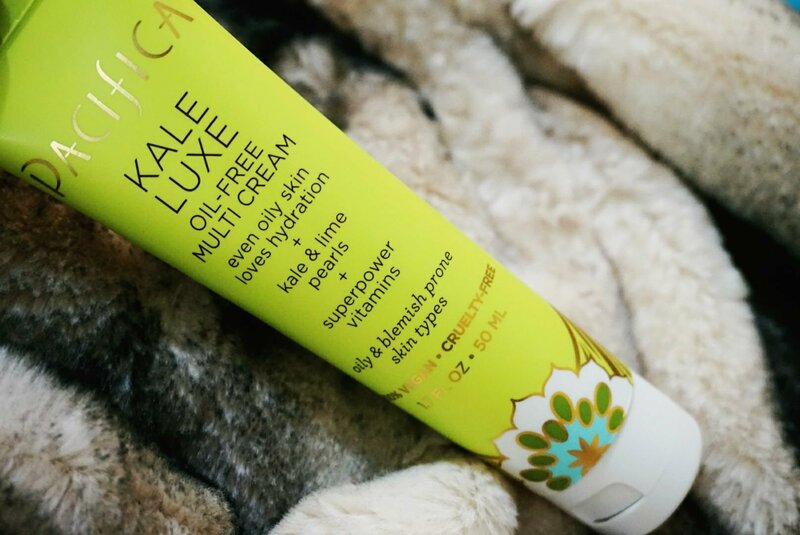 This feels lightweight and leaves my skin with a nice glow. It absorbs quickly and smells like fresh herbs. Aloe moisturizes and soothes skin. Lime pearls provide an alpha hydroxy acid which brightens and smoothes skin by gentle exfoliation. Vitamin E provides anti-oxidants and helps skin retain moisture. This is the only face balm I have found that doesn’t break me out. I use this on dry patches that I have or all over if I need added moisture. It hydrates and protects without making my skin feel greasy. This has been a savior so far this winter. Kokum butter is a lightweight and astringent butter that doesn’t clog pores. 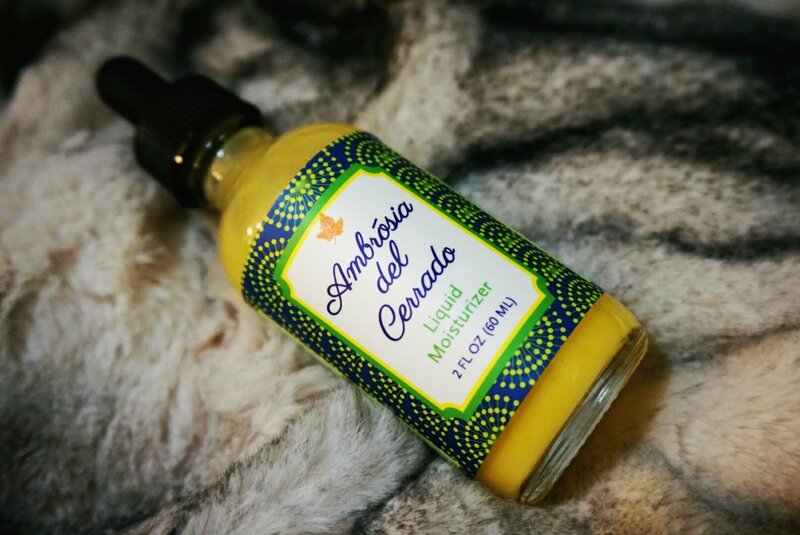 Passion fruit oil is a skin conditioner and protector. Babussa oil is astringent and emollient, and not pore clogging. Sapote oil is antimicrobial. Green coffee bean oil is a similar pH to our skin and provides lightweight moisture. Rosehip oil balances the skin. This is hands down my favorite sunscreen I have ever tried. It is a zinc oxide sunscreen that doesn’t leave a white cast. It is easy to spread and has a great lightweight yet moisturizing feel to it. It has never caused a breakout or sensitized my skin like many sun protectants. I cannot recommend this enough. This is suitable for every skin type. This helps my skin look bright and smooth, and is the best base for makeup. Non nano zinc provides broad spectrum SPF 30 to protect against sun damage. Aloe provides moisture and is anti-inflammatory. Sunflower contains essential fatty acids that improve skin elasticity and prevents skin water loss. It is also not pore clogging. Chaparral extract is anti-oxidant and anti-microbial. This naturally provides some UV protection. This rollerball is what I use instead of a traditional eye cream. The rollerball makes it easy to apply. I love the rollerball, as it helps improve circulation. 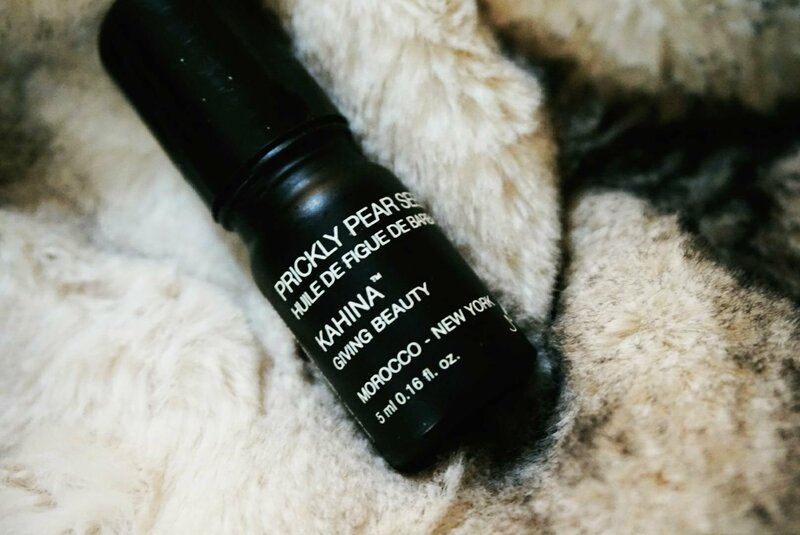 Prickly pear seed oil is rich in vitamin K. Vitamin K helps reduce the look of under eye circles. Vitamin E is anti-oxidant rich and a moisturizer. It enhances blood circulation and reduces transepidermal water loss. This is magic for breakouts without over drying or irritating skin. I’ve totally stopped buying any other breakout treatments, as this is all I need. I use this as a last step over areas of my face that have breakouts, or are prone to them. It is great at combating current breakouts and preventing future ones. There’s no color, you can wear morning or night, and it can be used as a makeup primer. This is the only product I have ever used like this, but also the most effective! Microsilver BGTM cleanses away and neutralizes bacteria on the skin. It reduces redness, inflammation and irritation. I have been a cosmetologist for close to ten years now, and needless to say I’ve had my hair many different colors. I’ve been doing basically the same thing with my hair for the past few years, but I’ve been itching for a change. 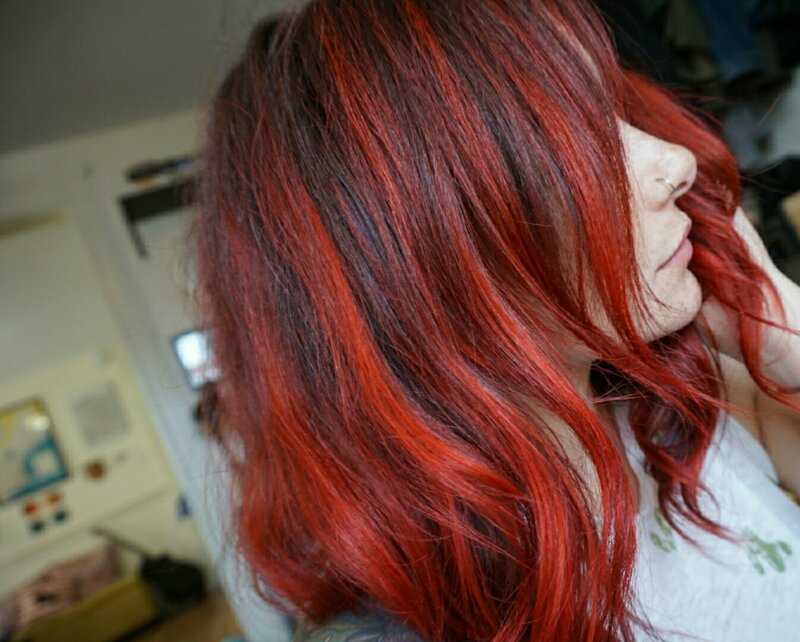 I did red many years ago, and always felt like it suited my personality, so I decided to give Arctic Fox a try. 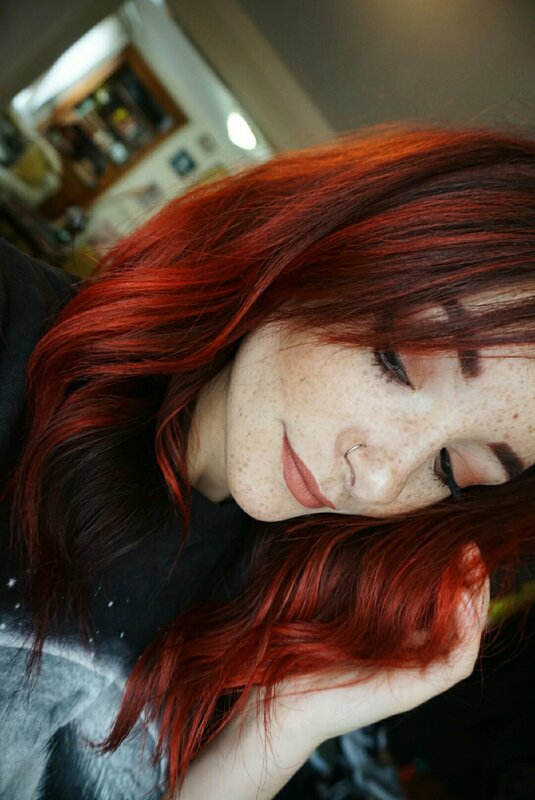 Arctic Fox is a cruelty free company and the hair colors they offer are vegan. They offer semipermanent fashion colors. There is no peroxide or ammonia, no PPD or ethyl alcohol. They are self described as “vibrant colors with added conditioner”. These dyes are manufacted in the United States, and a portion of all sales are donated to help animals. I decided what colors to try by searching their Instagram to see which ones I liked. I ended up purchasing wrath, poison, and sunset orange. With vibrants like these, I prefer to custom mix so that each time I use them I get a little bit something different. Prior to purchasing the hair colors my hair was all over balyage. My roots and a couple inches down, and the underside are my natural hair. 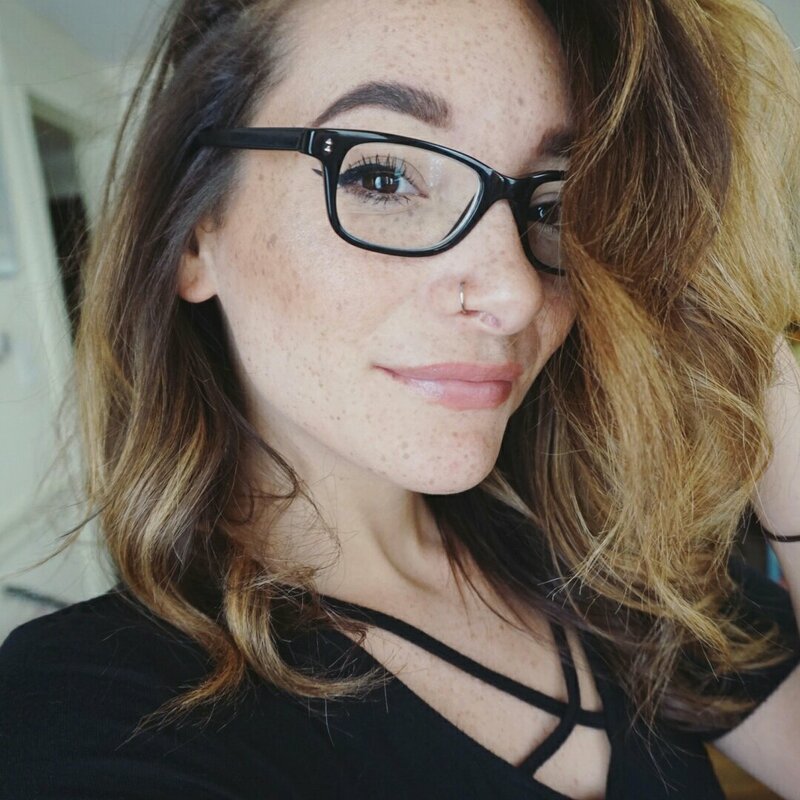 I lighten the balyage parts of my hair about twice a year. Some areas of my hair are as dark as a level five or six, while others are more around a level 8 or 9. 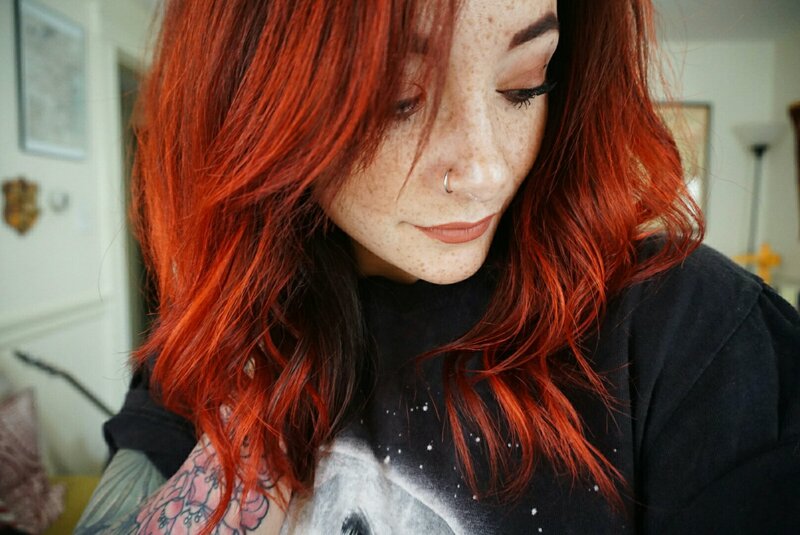 For this type of color to show up, hair needs to be blonde or lightened. 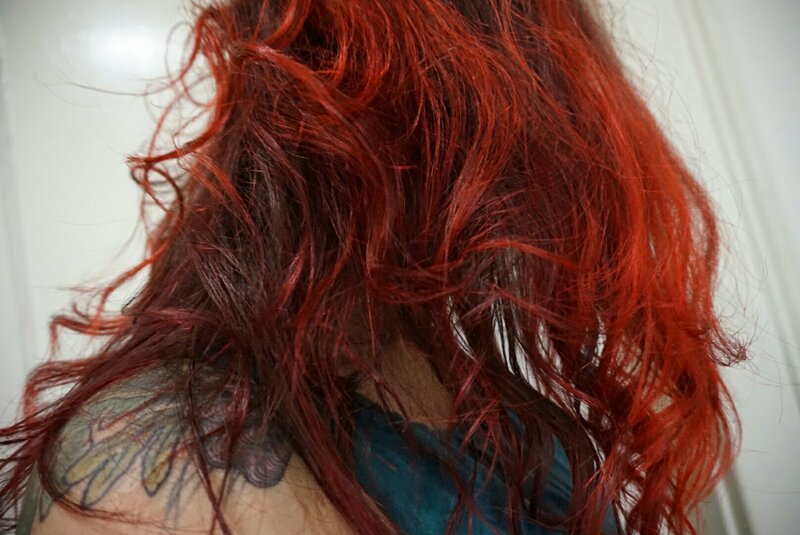 My hair before coloring, prelightened balyage. I followed the directions they supply basically word for word and got great results, so I suggest doing the same. I washed my hair, didn’t use conditioner, and dried it. I had three bowls of mixture. One I had just sunset orange, one I mixed all three, and one had wrath and poison mixed. Also, WEAR GLOVES & make sure that you apply barrier cream to your hairline. I began by applying sunset orange with a brush to my lightened sections. 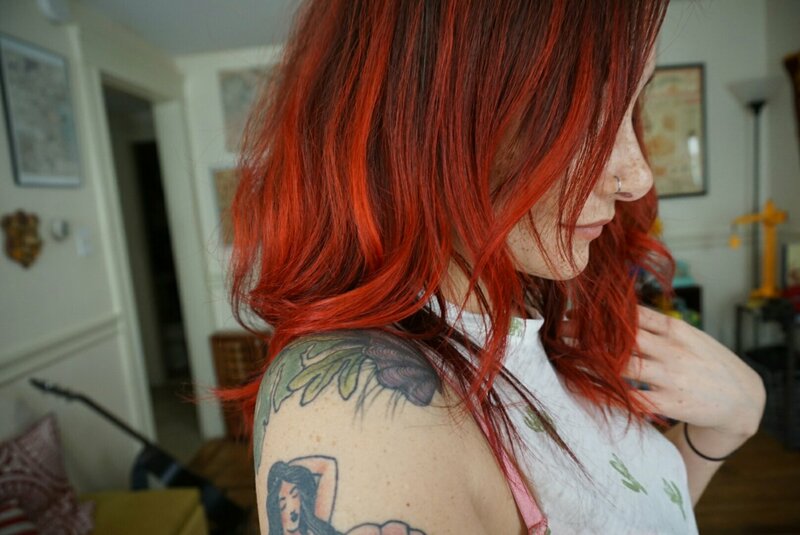 I wanted to make sure that I had a good orange base, because my hair tends to look very pink with red color over it. I took small sections making sure to rub the color in and emulsify it. I didn’t want any patches of blonde left over. Once each part was covered with sunset orange (admitidly this took a very long time), I went in with the triple mixture on my roots and partially way down the hair shaft. Even though my roots are not lightened, I wanted to make sure to cover everything so that it looked like the same tone. I also have some natural lightness near the front and wanted that to pick up the red. I covered the under part of my hair with the mixture of wrath and poison. Once the color had been on for probably 30 minutes I added the triple mixture all over my head and waited another 30 minutes. Quite honestly there was really no rhyme or reason to how I was doing things, I just kinda did what I thought would look the best. 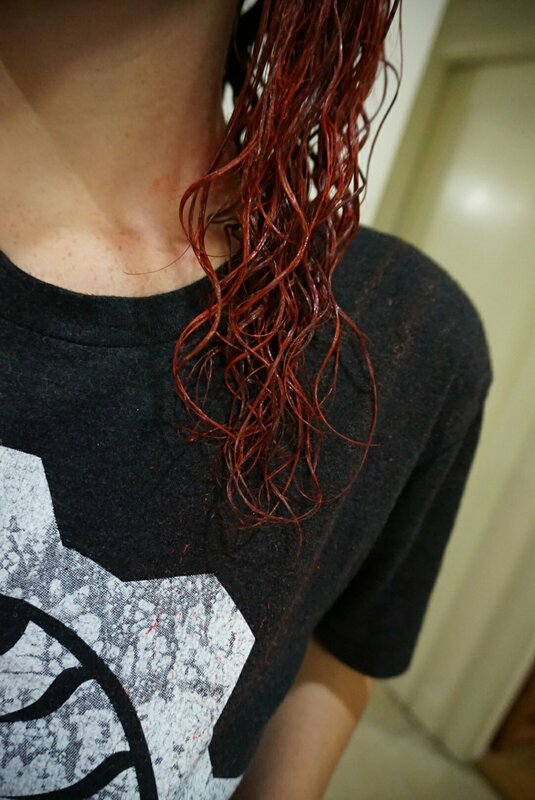 I rinsed my head with pretty moderate temperature water, making sure to scrub the best I could on my scalp so that it didn’t leave behind color. I then conditioned and applied styling products, and styled as usual. 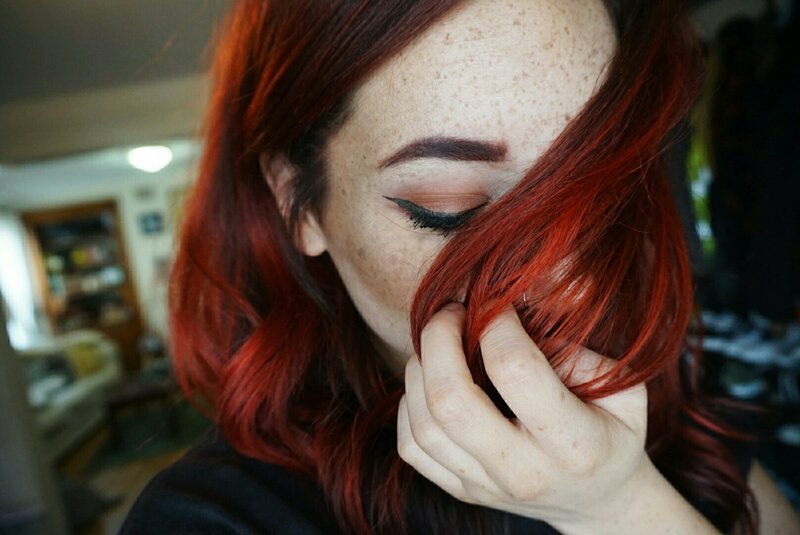 You can see how my brown hair underneath did slightly take a red tone. In different lighting you can see the different tones of red. I LOVE the results, and will continue to use this stuff! I surprisingly didn’t have trouble getting the color off of spots on my skin or sink. Which is usually not the case with other brands. The smell is incredible, like candy? And the smell stays on the hair in the most delightful way. My hair is super shiny and manageable after using the colors. 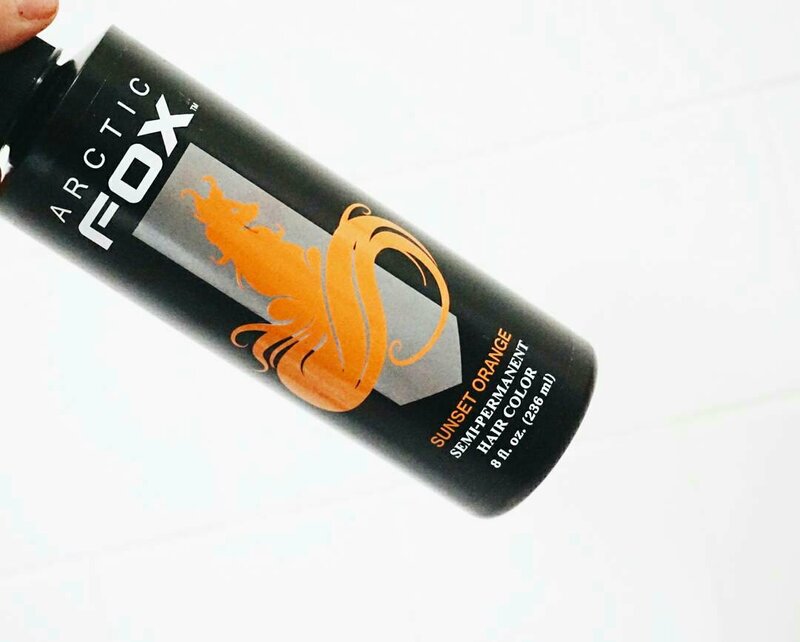 This color deposits amazingly on any kind of lighter hair, anything that was dark blonde and lighter absorbed color. Tonally on my brown hair the lighter brown areas have a red tint, but to get the results I got you need to have prelightened hair. These colors are easily customizable, and you can make some beautiful and unique shades. ELF is one of the most affordable cruelty free brands out there that offer so many vegan options. If you are on a budget but want to shop consciously, this is your best bet. They just released a new Mad For Matte palette called Holy Smokes, and from the moment they announced it I knew that I needed it! The palette features 10 matte shades, and retails for only $10. 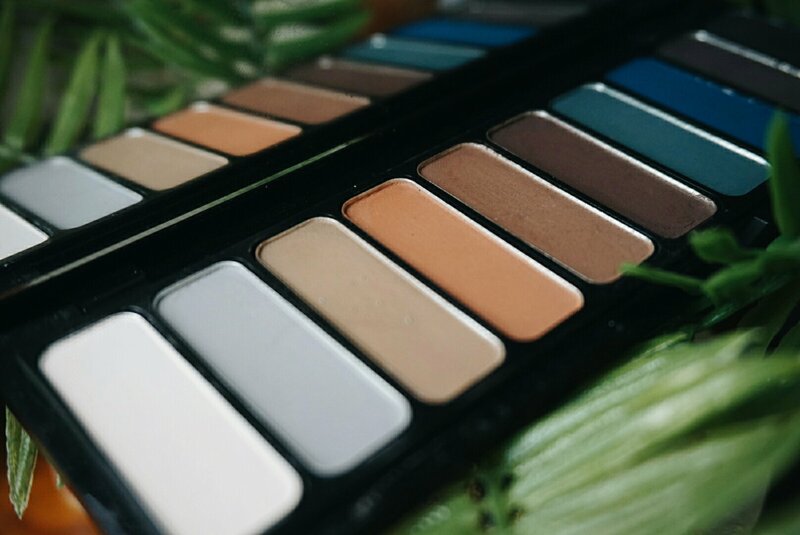 The Mad For Matte palettes come in a small compact case with a mirror, and are great for traveling. Holy Smokes has mostly cooler and neutral tones. The previous Mad For Matte 2 palette is one of my favorites, and features mostly warm tones if that’s what you fancy. 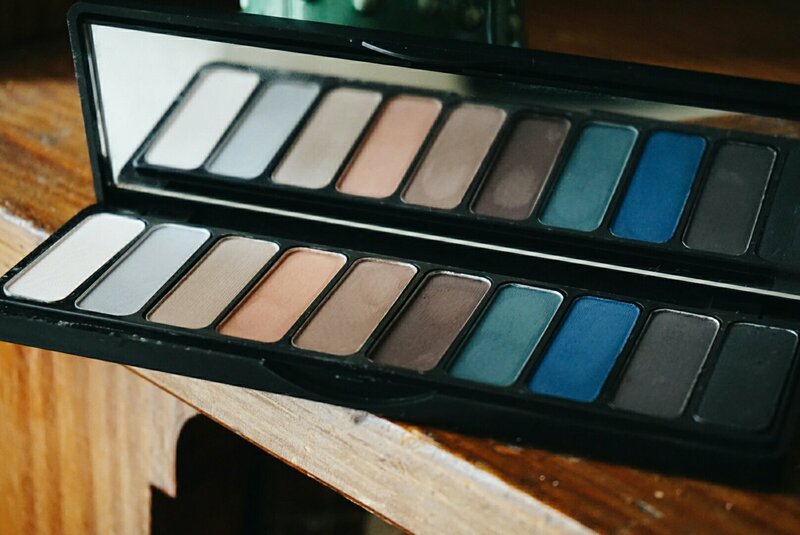 Personally I was drawn to this palette for the matte greys, browns, and that gorgeous pop of teal. These shadows are pigmented, and also very smooth to the touch with the exception of the cobalt blue color. This color is still pigmented and opaque, but just feels slightly grittier than the others. On the eyes these have worn well for me. I use over a primer and they last & blend well with each other. Again, the only shade I’ve had struggles with so far is the deep blue shade, but I seem to always struggle finding dark matte blues that apply well. 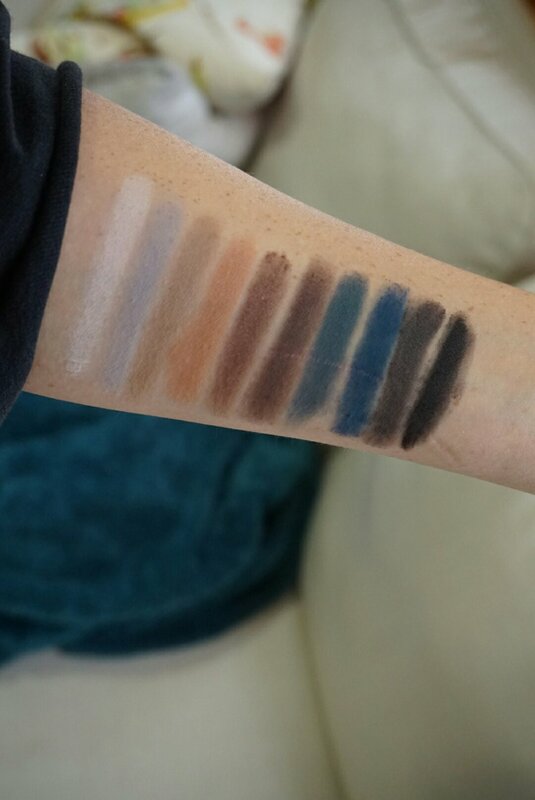 The shadows swatched with no primer. One of my favorite shades so far of the palette is the black. It is great to see such a dark opaque black shadow at a drugstore price. I would reccomend the E.L.F. palettes to anyone who is looking for a budget friendly cruelty free option, but still wants good quality. This palette is also great if you’ve been wanting to try out some of these shades but are unsure how you will feel about them. You can purchase this palette here. For more beauty & fashion, follow me on my blogging Instagram @ZosoMorganBlogs & my personal for more lifestyle @ZosoMorgan. When I went entirely cruelty free and vegan, I actually had a pretty easy time finding substitutes for most of my beauty products. It was a learning process, with a lot of trial and error, but, for mostly everything I found something comparable or better. Everything except high end perfumes. 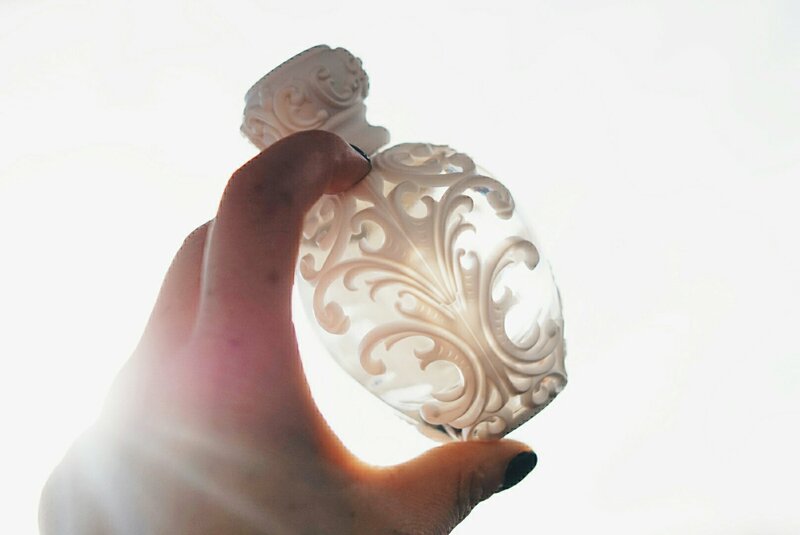 Now, many perfumes on the market are not cruelty free and vegan. A lot of the bigger names brands are either from companies that test on animals, or are owned by companies who do. Those beautiful, long lasting perfumes also many times contain animal ingredients. These ingredients are often secretions from animals and appear in the form of words like musk, civet, and castoreum. I have almost exclusively been using the Pacifica body sprays and perfumes in place of my old perfumes. These are great, but they do not have the lasting power or pungency of typical perfumes. Previously to going cruelty free, my favorite perfumes were Dolce & Gabanna The One and Desire, and YSL Black Opium. Both companies are not cruelty free. I purchased Kat Von D Saint, which is both cruelty free and vegan. The sister scent, Sinner, is also good but has more of a deeper, spicy smell while Saint is more light. Saint and Sinner are both similar to the types of perfumes I would typically wear. Saint is sweet and fruity, although they describe it as floraly. I feel these would work very well mixed together as well. Bergamot, mandarin, plum, jasmine, vanilla, amber, musk, orange blossom, sandalwood, caramel. Mandarin, vanilla, jasmine, musk (synthetic), plum, caramel, sandalwood. 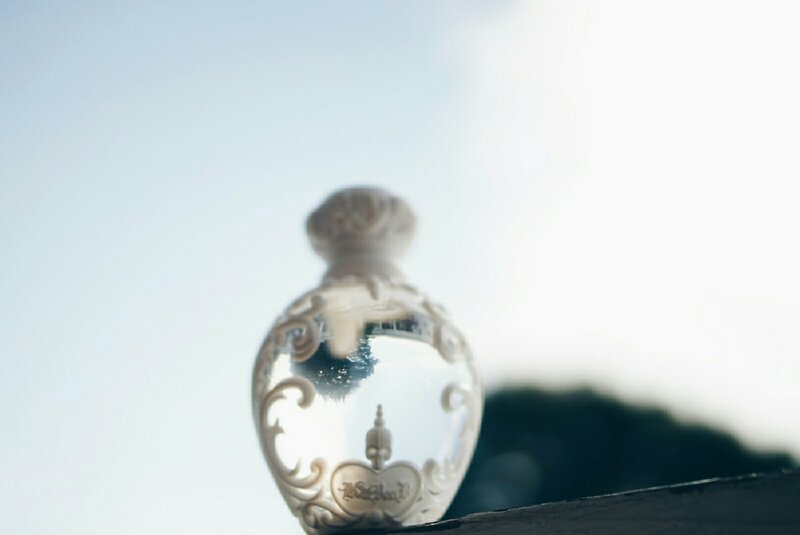 This perfume has staying power but at the same time I feel that the smell is not over powering. This is the first perfume I have purchased in years that I feel is comparable to the ones I used to love. Packaging wise, the bottles are beyond beautiful and lovely to display. I also feel the price point is fair at $65 for 1.7 oz. I may have to purchase Sinner as well, because I have been so happy with Saint. I purchased mine in a Sephora store, which I would reccomend if you can. It is nice to be able to smell them in person and observe how it smells on yourself. You can purchase online on Sephora & Kat Von D Beauty. I think one of the hardest cruelty free and vegan finds is eyeliners. There are so many on the market that are lack luster, don’t stay, or are not smooth application. I especially find this to be true with non-toxic brands. One of my favorite brands is Zuzu Luxe/Garbriel Cosmetics. They have great eyeshadows, liquid liner and lipsticks. They also have my favorite pencil eyeliner/lipliners out there. They offer some really unique and beautiful colors. As far as I can tell by looking at ingredients, the ingredients are the same in both lip and eye liner pencils. I use them for both lip and eyes with no irritation. These are mineral based and gluten free. The outer box they come in has ingredients displayed, as well as the leaping bunny and 100% vegan and cruelty free symbols. These glide on easily and I especially prefer them for my waterline. The color leaf is great as a pop of color. These three are my personal favorites. from top to bottom: cappuccino (lip), tobacco, leaf. These run roughly $13 and I find them at my local whole foods, but you can find them online here. Pixi is a cruelty free makeup brand with many vegan options that you can purchase at target. The brand price point is somewhere between drugstore and high-end, and they offer everything from complexion products to setting mists. Although I have known of this brand for quite some time, I have previously never purchased anything until recently. The Pixi +Its Judy Time eye palette has always caught my eye for the sleek design and beautiful colors, so I had to give it a try. This palette retails for $24 and I had no issue finding it at my local target. The palette contains 12 shadows. 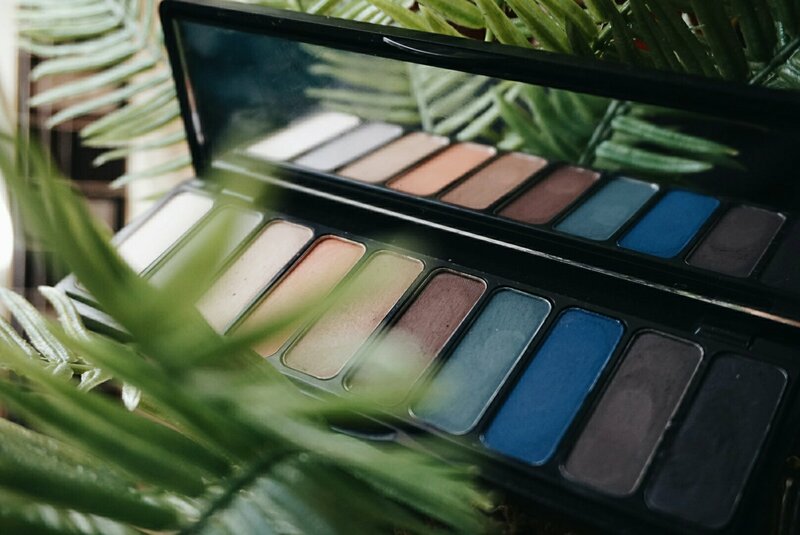 There are both shimmers and mattes, which makes for a great everyday palette. The colors are mostly warm in tone. The palette comes in an outer box which does have ingredients listed on it, and the palette itself is sturdy plastic with a clear front that displays all of the shadows. I really appreciate this, as someone with a large eye shadow collection this feature makes it easy to see what I have which makes me more apt to grab for it. The back of the palette also displays the names. here are swatches with no primer, in natural outside light. from left to right it is top row down. These swatch easily and are nice and smooth with finger, and pick up on a brush. The shimmers pick up and apply well with a flat brush, and better if sprayed with setting spray. The mattes apply easily as well and are easy to build up. There is some difference in color payoff but all can be built up and blended easily. I have only used these with a primer and had a great result. I always use a primer on my eyes, and will always suggest that with any shadow. These have the same longevity as other shadows for me, and are a far better option, in my opinion, than many other drugstore or target finds. These are my new go to and it is great for travel since it is all you need. I also have found that some of the shades make great blush colors, and the lightest shimmer is a good highlight when used with a dewy setting mist. This is my everyday smokey eye using the palette. I also used this palette for blush & highlight! I feel like for the price and the amount of use that you can get out of this palette it is worth picking up. You can find this palette at Target! Sun protection is important all year round, but now that the sun is out and people are hitting the beach it is even more important to protect that skin! I have tried a ton of vegan, cruelty free and natural sunscreens and there are only two that I swear by. While there are plenty of brand options out there, I am picky about consistency and efficacy. My favorite for facial SPF is the Natural Mineral Sunscreen Face from DermaE. This is my go to skincare brand for my sensitive and breakout prone skin in general, but this sunscreen is holy grail. It is broad spectrum SPF 30, contains zinc oxide, and has a non greasy feel. It does not irritate my eyes and it sits well under makeup as well. I never experience breakouts or irritation from this and I continually repurchase. It also stands up well against sweat in hot conditions. My favorite for body SPF is Tattoo Shade by Kiss My Face. I like every sunscreen I have tried from this brand, but this one in particular is what I reach for. 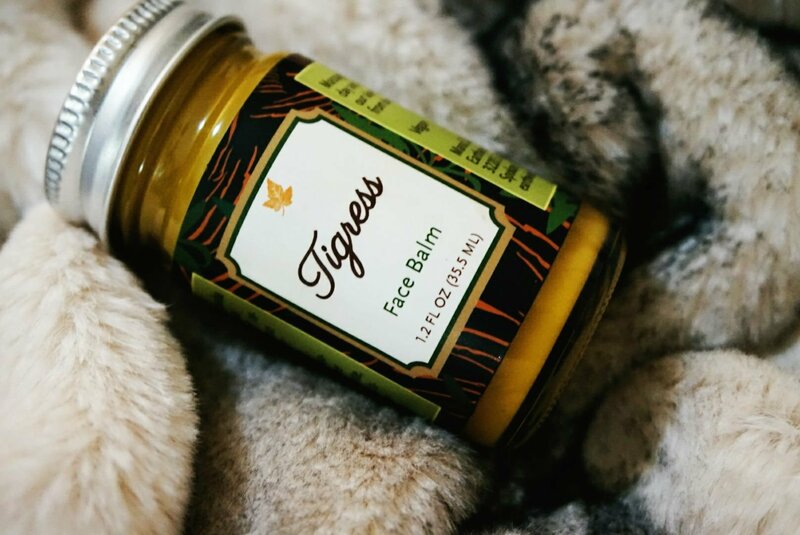 It is vegan, spreads easily, and smells great as well. Even though this product is geared for “tattooed skin”, I use it everywhere on my body. It stands up well against sweat and is water resistant up to 40 minutes. This is broad spectrum SPF 30 and boasts that it contains antioxidant defenders. I am not sure how much extra protection you actually receive from those antioxidant ingredients, but it does leave my skin feeling healthy and soft. This sunscreen has a fresh, almost fruity scent, so I don’t feel overpowered by the scent. A licensed esthetician & cosmetologist with a huge collection of products & tricks of the trade to share with you. Out to show you that glam doesn't have to be at the cost of compassion. Cruelty free is easy!